There are at least two artists with the same name: 1) Lo-Fi (trip-hop, Iceland) Lo-Fi (Fridgeir Eyjolfsson) is a one-man Icelandic trip-hop band. 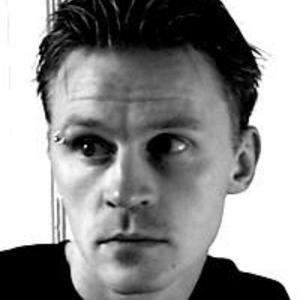 Founded in early 1998 after several years of working with various bands on the Icelandic music scene, Lo-Fi completed his first album titled "Nano" later that year. All music and lyrics on the album were written by Lo-Fi and it was recorded and produced entirely at his home studio. For this project Lo-Fi recruited the talents of three female singers, three guitarists, one piano player, and a bongo drummer, making his debut release a "dreaming and flowing whole". The theme of the album is the death of a nano machine after flowing timelessly through the veins. Icelandic critics reacted very positively, praising the excellent production quality and synergy of song writing and musical arrangement. Lo-Fi had a project with Thule music under the artist name Nano and played at the Icelandic Airwaves Festival 2000 in Reykjavik under the artist name Nano, supported by three musicians: the gifted female singer Esther, guitarist Bj?rn ? ?r, and drummer Magn?s R?nar. Press contacts include an interview by New Orleans-based internet radio station Fastband in 2000. He finished two more albums, "Nightsongs" and "Watersongs for Nana", albums that weren't released though so far. Recently he has been setting up his MySpace, probably indicating a comeback of the project.